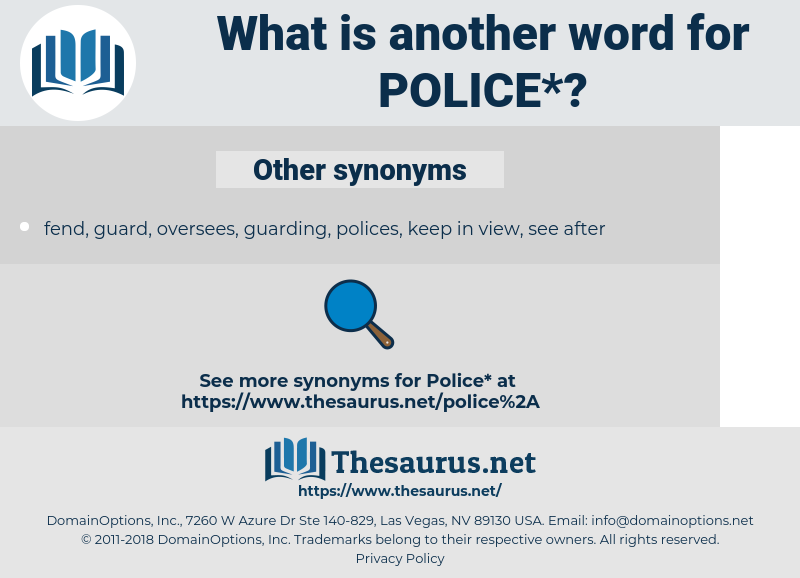 What is another word for police? 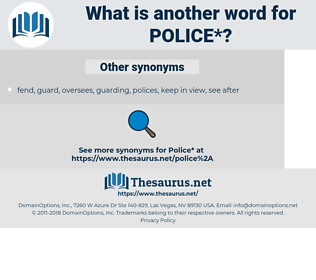 The system of regulations of a city, town, or district, for the preservation of order and enforcement of law: the internal government of a state: ( short for police- force) the civil officers for preserving order, etc. officials, Investigators, offences, carabinieri, Organizations, Rights, Duties, victims, tribunals, KPS, experts, supplies, actors, nations, constable, constables, enforcement. troopers, policyholders, Soldiers, locals, Guards, employees, explosions, enforcers, demonstrations, reporters, departments, institutions, coppers, recruits, components, Communities, Records, Operators, convictions, motorists, extremists, stakeholders, candidates, courts, dealers, arrests, workers, protests, millions, individuals, rules, warnings, observers, Students, Shelves, enquiries, Patients, Pamphlets, servants, searches, Charges, skills, groups, Measures, controls, FEDS, players, members, arrangements, Stories, boys, launches, events, Pigs, uniforms, Bodies, Forms, partners, fonts, officials, bulls, Investigators, offences, Countries, LINEs, Organizations, Rights, Duties, victims, actors, Marshals, constables, police-contributors. carabinieri, policewoman, policewomen, constable, enforcement, precinct.